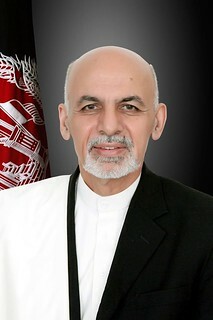 His Excellency President Mohammad Ashraf Ghani is the President of the Islamic Republic of Afghanistan. In what was a historic day for Afghanistan, H.E. was sworn into office at a grand inauguration ceremony on the 29th of September 2014. This ceremony marked the first time in Afghanistan’s glorious history that the leadership of the country was democratically transferred based on our constitution. H.E. President Ghani was born in 1949 in Logar Province, Afghanistan, and moved to Kabul where his primary and secondary education was completed at Habibia High School. H.E. earned his PhD in Anthropology from Columbia University and has previously worked for the World Bank. In 2001, H.E. worked as the Chief Advisor to H.E. former President Hamid Karzai and became Finance Minister in 2002-2004, designing and facilitating broad and challenging reforms. In 2004, he was appointed Chancellor of Kabul University, where he was seen as a compelling rehabilitator of the management and education system because of his action of sharing governance of the university by the faculty, students, and staff and supported an environment where men and women with skills and commitment could realize their full potential in Afghanistan as the country further internationalized. As President of Afghanistan, H.E. Dr. Ghani will form a government of national unity that is based on the constitutional framework and will take bold steps to protect democratic values, while making fundamental reforms and changes at all levels of the country’s governance. Such an ambitious vision will be achieved through cooperation, mutual trust, social inclusivity, sincerity and tolerance, which will ensure that Afghanistan continues along its path of social, political and economic development in a way that is to the betterment of all Afghans.